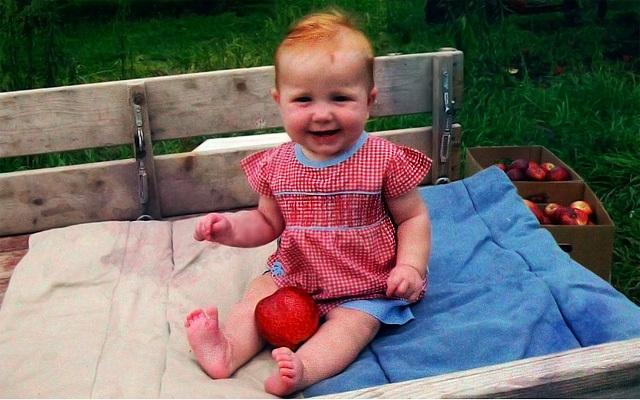 Our orchard has been a family run business since the early 1960 Many things have changed but, our goal for the orchard has stayed the same.Producing quality products at fair prices! Everything that we sell at local Fareway and Hy-Vee stores, and the Grinnell and Des Moines farmers markets are all grown and produced right at the Hinegardner's Orchard. The orchard season is really a year round enterprise. Preparation begins the year before. 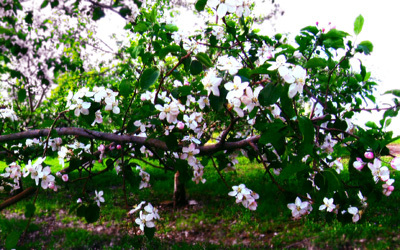 In the winter time we prune and trim our approximately 3,000 apple trees. We usually finish pruning and removing the brush by the middle of April. During the Iowa winters we do not work in the orchard when the temperature is below 15 degrees. We start our year getting ready for berry season and end with apple harvest and pumpkins and cider day. 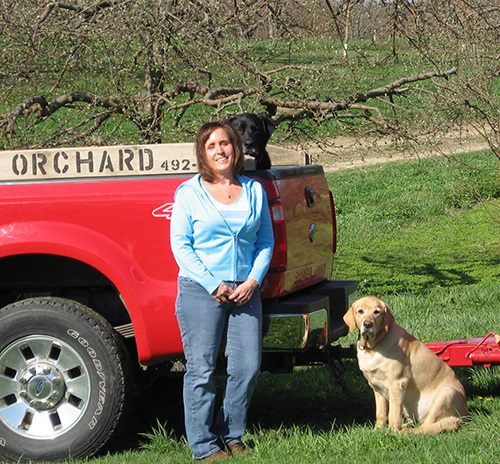 We hope you come and enjoy the Hinegardner's Orchard experience! All Varieties are looking good in 2017! We have 22 varieties of apples available starting with Harvest Apples called Lodi through Winesap. The varieties ripen at different times with the Lodi apples beginning to ripen around the 1st of September to the Winesap that ripens around the 1st week of October. For our 2017 season our apples are $25.00 per bushel. (about 40 pounds at $0.62 per pound). Cider day is the 7th of October between the hours of 1:00PM and 5:00 PM. 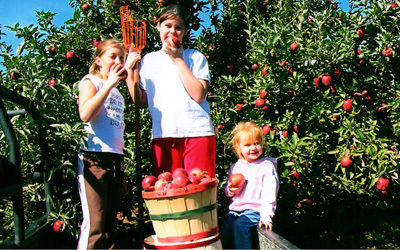 We invite customers, friends and family to harvest apples with us. These apples are collected in wagons and made into fresh apple cider while you watch! 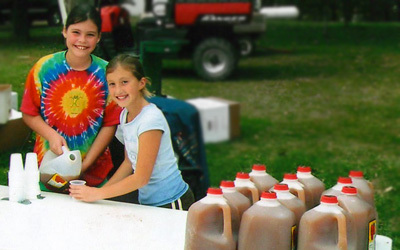 Beginning this year (2015) due to Department of Public Health rules, the public will no longer be able to bring and fill their own containers with cider. New plastic containers will need to be purchased from us here at Hinegardner's Orchard. 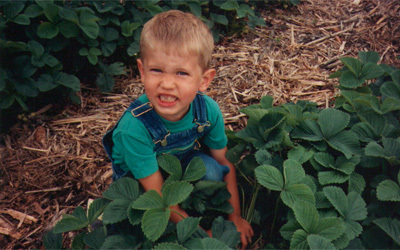 We have 3 acres of delicious strawberries usually ready for picking around June 6th. Weather conditions make the difference (in 2010 we started in late May). Berries will be available for pick your own and also pre-picked. Pick your own berries are sold at $1.80 per pound and pre-picked berries are sold at $30.00 a flat. We open the orchard for pick your own around the middle of September. Also during these weekends we have apple pies, cider, caramel apples, pumpkins and rides to the pumpkin patch for picking your own pumpkins!!! New Giant Apple Slingshot Avaliable! Pumpkins of all sizes and shapes can be found at Hinegardner's Orchard and Fareway stores in Marshalltown, Tama-Toledo and Grinnell. 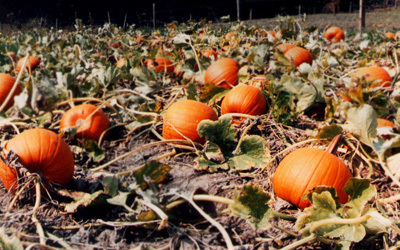 We also have pick your own pumpkins and tractor rides to the field. Fun for kids of all ages! Cantaloupe begins to ripen around the 5th of August. We grow Classic Hybrid brand melons. This melon has a great flavor and is in the 4 to 5lbs. range for size. The melons are grown on plastic for weed control and watered with a trickle tape under the plastic to conserve water.